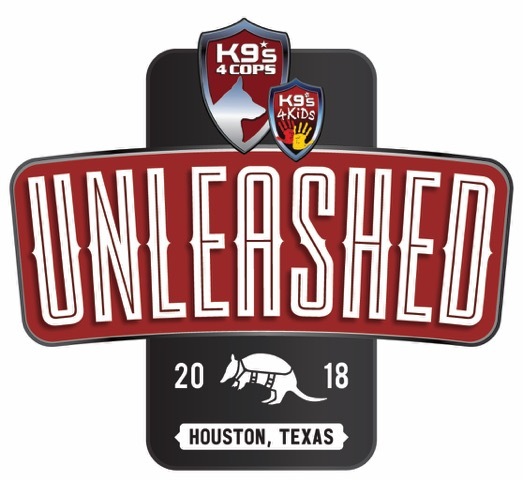 We want to see you at UNLEASHED! 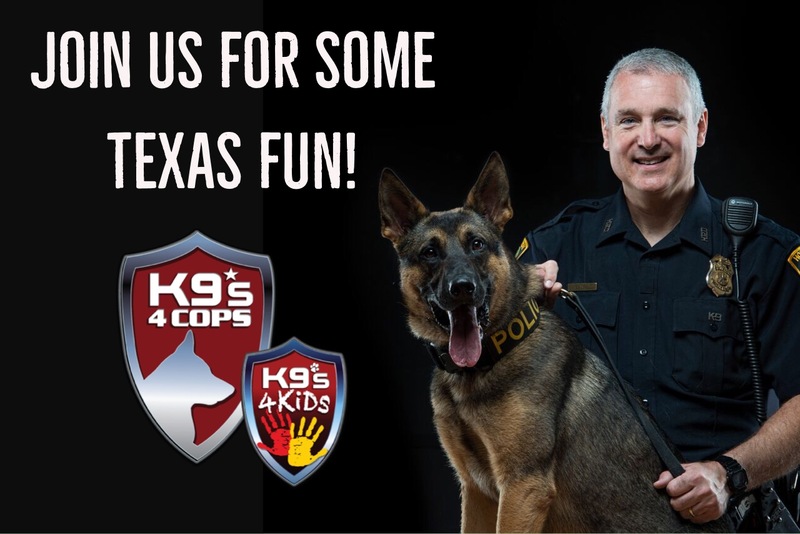 Dust off your boots, K9s4COPs UNLEASHED is back! 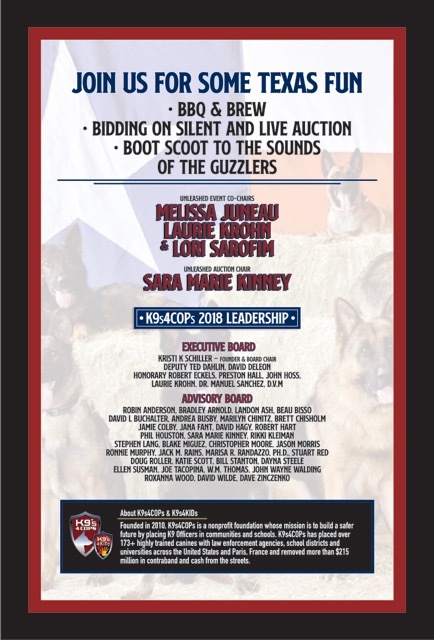 Our Texas Strong themed event will honor Jim “Mattress Mack” McIngvale, and Constable Alan Rosen – Harris County Precinct 1, for their heroic efforts during Hurricane Harvey and their generosity to the City of Houston, as well as some Texas Strong Police K9s! 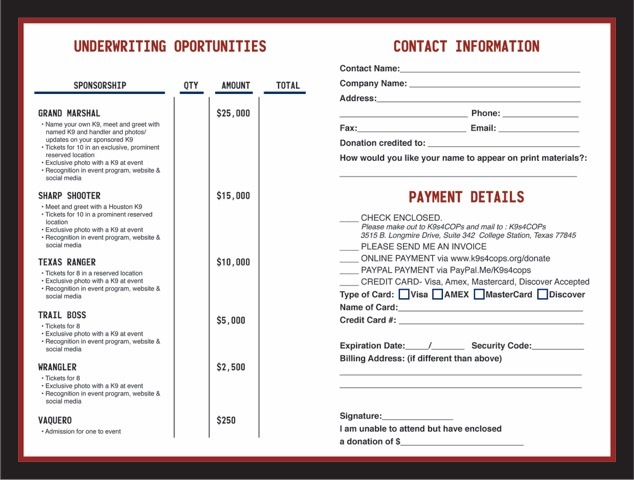 Join us on Wednesday, October 10, 2018 from 6-9 pm. 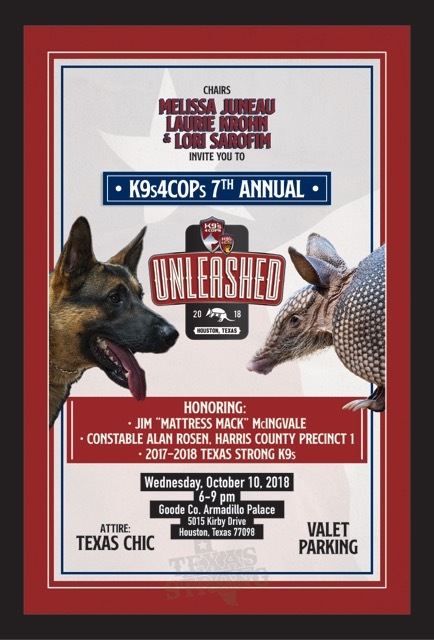 You can purchase your tickets online at: http://bit.ly/K9sUnleashed. We hope to see you there! Previous PostPurchase with Purpose!Next PostWelcome K9 Halle!